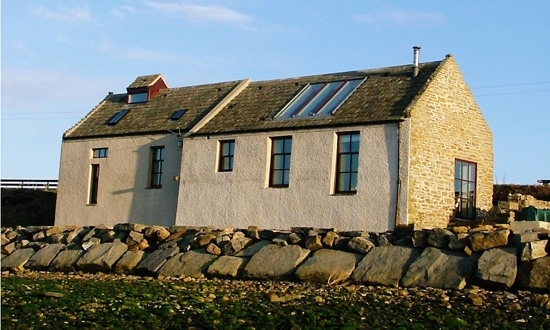 The Mill O' Cara is a beautiful converted mill offering luxury self-catering accommodation for up to six people in South Ronaldsay in the Orkney Islands. 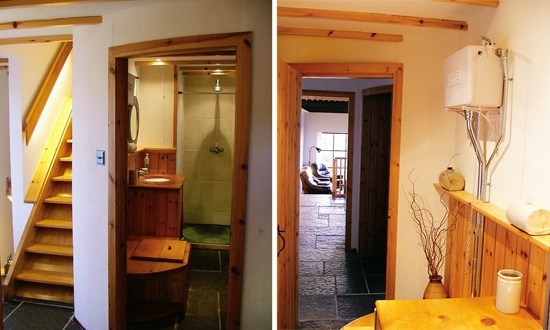 The Mill's interior is at once engaging, luxurious and homely. 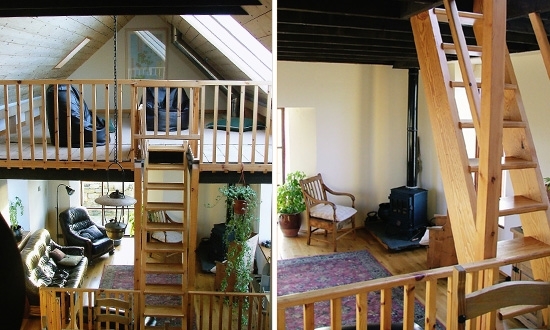 Laid out on five different levels, it has been decorated and furnished to an extremely high standard. Modern improvements such as under-floor heating, a fully equipped kitchen and panoramic skylight on the mezzanine floor are the perfect complement to beautiful plastered walls and wood finishings. 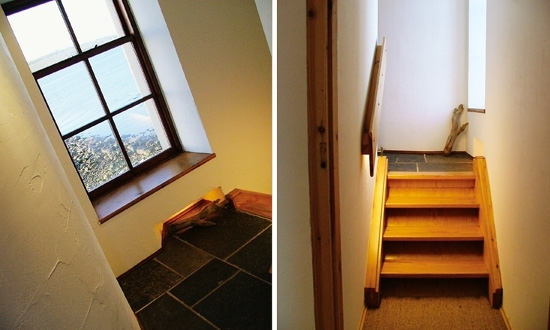 The Mill has one double bedroom, one twin bedroom and a third twin bedroom in a concealed attic space. 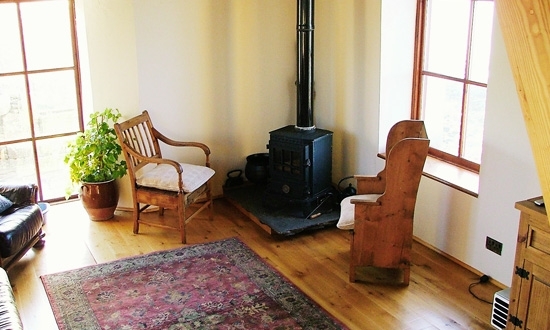 The spacious lounge area is furnished with a leather suite, a traditional Orkney chair and solid fuel stove. 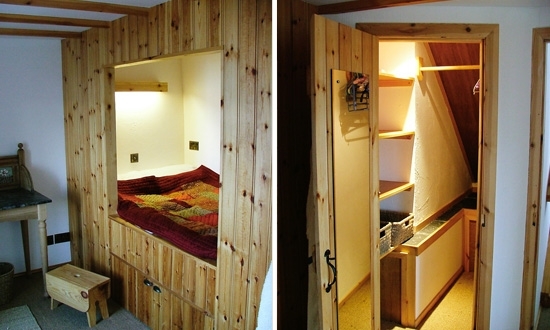 A TV, DVD and stereo is located in a concealed unit. 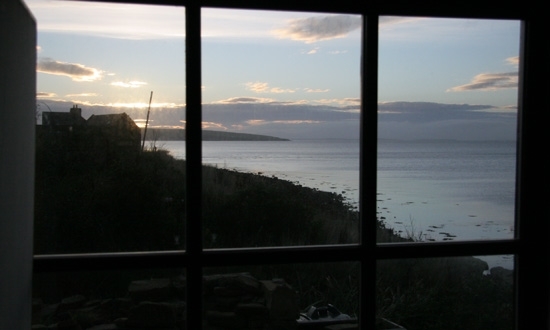 If you'd prefer a more tranquil experience, sit back with the window open and listen to the millburn as it trickles past the window to meet the waves at the edge of the shore. The kitchen is situated on a balcony overlooking the lounge area and is fully equipped, including a dishwasher. 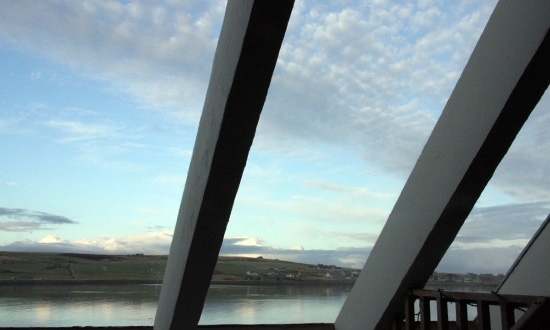 The mezzanine floor above offers spectacular views over the bay to the picturesque village of Burray to the North and the Hoy hills to the west. A utility room provides full laundry facilities and the bathroom incorporates a power shower with a beautiful stone base. 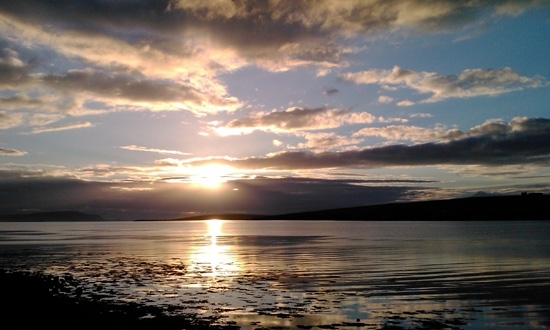 The Mill is superbly located close to the main town of Kirkwall and near to the Churchill Barriers, Italian Chapel, excellent beaches, good walks, rock fishing, pubs and restaurants, and a nine-hole golf course. 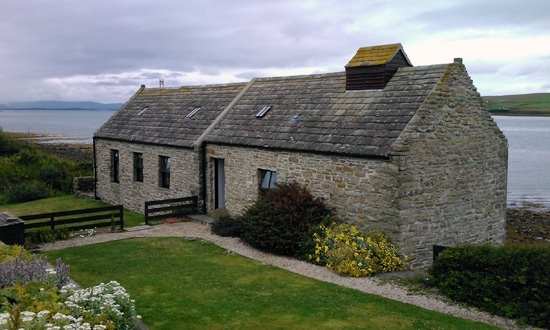 Open all year with weekend and mid-week breaks available out with the main holiday season. Please visit the Mill O' Cara website for more information. 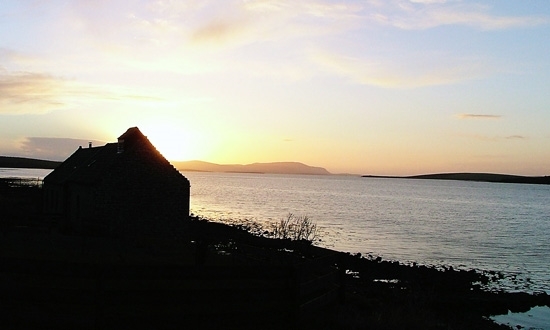 Built in the 1800s on the peaceful shores of Scapa Flow, the Mill O' Cara provided the Burray and Grimness end of South Ronaldsay with a working mill. The Mill stopped working at the end of the war, as the construction of the Churchill Barriers had enabled people to travel to other mills, and stood derelict for many years. 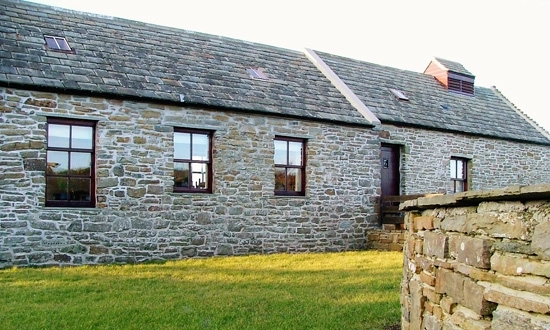 Now, fully renovated, it offers a unique holiday experience as a superb self-catering accommodation. 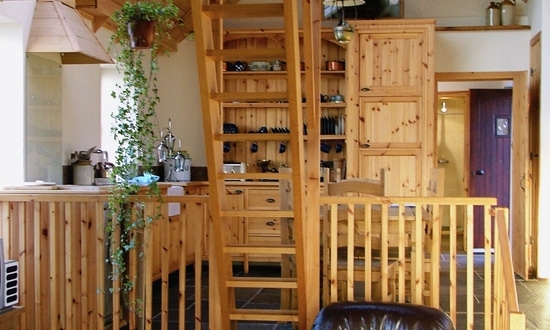 The Mill O' Cara is the ideal spot for a relaxing holiday away from it all.